Jacks Or Better Draw Poker - Casino Answers! When playing at home, Jacks or Better is played just like a 5 Card Draw game. 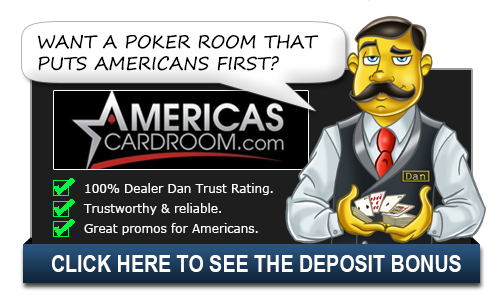 Prior to the hands being dealt the dealer must choose how many draws players must take and whether the draws are optional or not. Players will than receive five cards face down. Each player will have their turn to open and can only open if they have a pair of jacks or better in their hand. If a player does, they will inform everyone at the table that they are able to open and place an opening bet. Those who wish to stay in the game will call the bet and the dealer will deal the additional cards to the players. Players will again have the chance to bet and a showdown will take place. The best five card hand wins the pot. If a player does not have jacks or better in their hand, all hands will be declared dead, all hands will be mucked and players will need to ante into the pot again and start over the game over. When this happens, the opening bet must come from a player with Q’s or better. This process will continue through K’s, A’s and back to J’s should the rounds not be able to receive an opening bet. When playing Jacks or Better against a machine, the player is dealt five cards from a standard 52-card deck. Once dealt, the player can choose to hold certain cards whilst discarding others. Discarded cards are replaced by new ones. Initially, the computer automatically holds the cards that it thinks have the best chance to win. But if you don’t agree with the choice, it can be easily changed. After all cards have been dealt, the player must form a hand of “a pair of Jacks” or better or the hand is lost. Jacks is the lowest possible paying hand and thus pays the least. Naturally, a royal flush pays the best. Players can bet with between one and five coins – the more coins you bet with, the higher the payout. If you get a winning hand, you can then play the “Double Your Money” feature. This is typically a high/low game where the screen shows you a card, say a 9 of clubs, and you have to pick whether the next card will be higher or lower. This is a lot more luck based and can really swing against you at the wrong time. This is definitely something that you should do more for fun and less for making money purposes as a loss will cost you your entire win. Jacks or Better is a really good video poker game though and it’s easy to see why it’s one of the most popular along with Jokers Wild. Want to try Jacks or Better? Play it now at Planet 7 Casino and get up to $777 in bonuses!